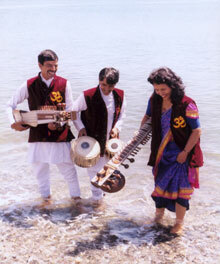 The musicians of Om Shringara Nepal enjoying the beaches of Newport, Rhode Island, during their 2001 U.S. tour. Achyut Ram Bhandari has been performing on tabla for more than twenty years and touring internationally for sixteen. He has performed extensively in Europe, Asia, and most recently, in the United States. As a soloist, he is known for his ability to clearly speak the bols, or syllables, of complex compositions at very fast layas. For the last ten years, Mr. Bhandari has been performing and touring with his group Om Shringara Nepal. The group was originally composed of Mr. Bhandari, Steve James, an American sarod player, and Hans Wettstein, a Swiss sitar player. The name, which means "The Beautiful Sound of Nepal," was first given by Mr. Wettstein. After a few years the group was re-formed with sitarist Gyanu Radha Gorkhali and violinist Bikas Nath Yogi. The group toured Denmark in 1994, also recording the CDs Live in Denmark and One Sound. 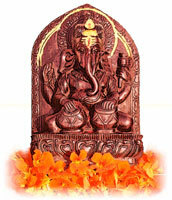 After performing with the group for three years, Bikas Nath Yogi left in 1995, and Mr. Bhandari's cousin, sarangi player Parashu Ram Bhandari, became the group's newest member. After five years of performing together in Nepal, this trio made extensive tours of the east coast of the United States in 2000 and 2001. In addition to touring, Om Shringara Nepal plays regularly at Pilgrim's Book House in Thamel, Kathmandu. Concerts are every Monday, Wednesday, and Friday at 6pm. For more information contact Pilgrim's Book House. Below are a few images spanning Mr. Bhandari's performing career. Mr. Bhandari's first European tour, 1984. 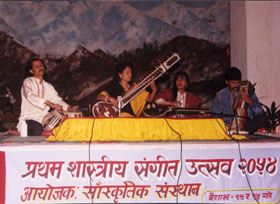 Gopalnath Yogi, violin; Uma Thapa, sitar. Performing in Switzlerland, 1986. 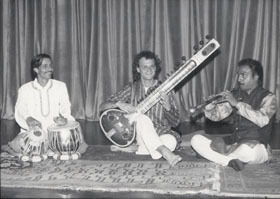 Hans Wettstein, Sitar; Steve James, violin; George Widalm, tanpura. Geneva, 1986 European tour. 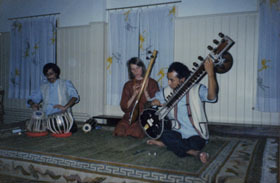 Tarabir Singh, sitar; Helena, tanpura. Performing in Switzerland, 1987. Steve James, sarod. 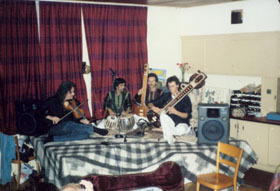 Performing at Hotel Vajra, Kathmandu, 1989. 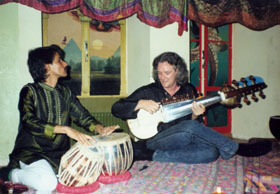 Hans Wettstein, Sitar; Sahun Lal, shahanai and flute. Performing at the National Theater Classical Music Festival, Kathmandu, 1996. 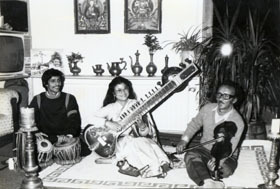 Gyanu Radha Gorkhali, sitar; Parashu Ram Bhandari, sarangi. 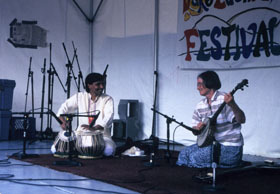 Mixing American folk tunes with typical tabla rhythms at the Lake Eden Arts Festival, Asheville, North Carolina, during Om Shringara Nepal's first U.S. tour. Hilary Dirlam, banjo. 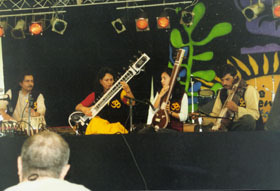 On stage with Om Shringara Nepal at the Lake Eden Arts Festival, Asheville, North Carolina, during the group's second U.S. tour.